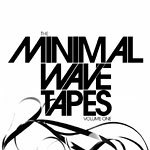 This is the first official volume of minimal wave music from Europe and North America recorded in the 1980s. Most of the songs were originally released on limited edition cassettes or vinyl by the artists themselves, and only a handful of people knew about them. Now, they've been remastered from their analog source tapes for your listening pleasure. Brought to you by Veronica Vasicka and Peanut Butter Wolf. Open copy played in our store. Near mint except clean hole punched through the tray card's barcode and slight wear on outer surfaces of jewel case.